Sometimes the best part of a getaway is indulging the senses and treating your body to a renewal experience. While you certainly could do this at home, doing it on vacation adds an extra level of luxury. Luckily for you, Greater Fort Lauderdale has a wide plethora of spas and wellness centers to pamper you into blissful relaxation. If you’re looking to combine shopping in Greater Fort Lauderdale with sumptuous self-care, The Red Door by Elizabeth Arden is conveniently located in The Galleria, one of the area’s most upscale commercial centers. The Red Door is both a spa and full-service salon where you can receive complete beauty and wellness care, including complimentary cosmetics with most services and a free makeup refresher by on-site aestheticians so you can leave looking your very best. Float8 Wellness Lounge offers a more immersive experience for visitors to Greater Fort Lauderdale, providing sensory deprivation flotation tanks heated to the precise temperature of the human body to reduce sensory input and allow guests to achieve mental and physical relaxation. The first wellness center of its kind in Greater Fort Lauderdale, Float8’s tanks provide you with total quiet and seclusion—perfect for meditation and recovery. 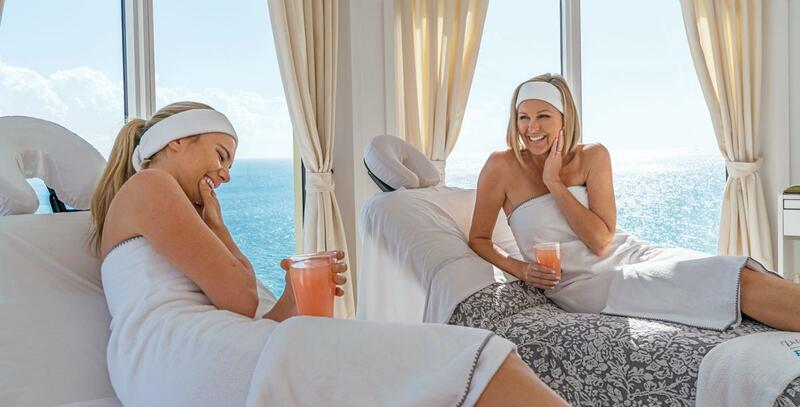 Greater Fort Lauderdale also offers countless opportunities for you to target your treatments, with spas that focus exclusively on everything from waxing to nail, foot, and skin care. The specialty at the European Wax Center, with two convenient locations in the area, is on revealing the beauty of your bare skin, while the Aloha Foot Spa & Salt Room helps you cleanse that skin in their unique Salt Room, which offers a tranquil setting where you can immerse yourself in Himalayan salt that helps destroy harmful microorganisms on your skin. For an integrated approach to health and wellness, visit one of Greater Fort Lauderdale’s many holistic spas, such as the JothiVita Ayurvedic Wellbeing Center and Spa, which provides both individual treatments and group workshops. The ancient ayurvedic method seeks to help you find mental and physical balance and JothiVita offers services such as acupuncture, reiki massage, herbal support, and yoga—all of which will have you leaving with a greater sense of total wellbeing. In sheer number and variety, few locations in the world can rival the opportunities for relaxation and replenishment in Greater Fort Lauderdale.